Realm of Horror - News and Blog: "Deep in the Wood" premieres on US VOD. 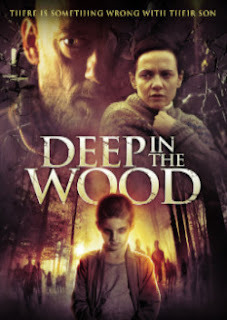 The unnerving Deep in the Wood premieres at US On Demand outelts, June 13 from Uncork’d Entertainment. Tommi, a 4 year-old child, disappears during an annual Krampus festival. Five years later, a child was found nameless and without documents. DNA matches -- He is Tommi. Manuel, the father, can finally embrace his son. The mother, Linda, however, can not adapt to the new situation. A suspicion digs inside her: What if that child is not really her son? Filippo Nigro, Camilla Filippi, Giovanni Vettorazzo, Teo Achille Caprio, Stefano Pietro Detassis, Maria Vittoria Barrella, Roberto Gudese, and Luca Filippi star in “a terrifying horror movie to scare yourself senseless with,” (Recombu.com) from Stefano Lodovichi. The DVD will be available in the US from Sep 27.